Francis Rocco Prestia Fingerstyle Funk download. At last, bass players around the world are allowed a rare, in-depth look into the style and technique of one of the most influential electric bassists of our time. 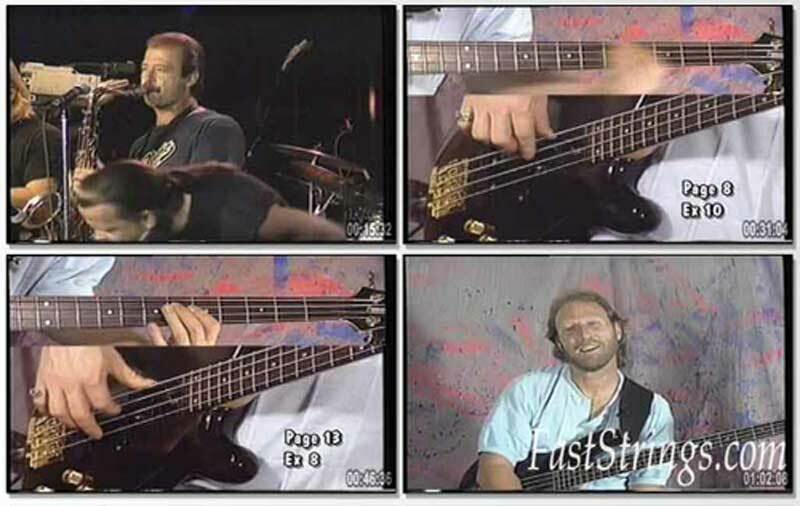 In a logical step-by-step approach, Tower of Power bassist Francis Rocco Prestia clearly explains his percussive “ghosting & muting” techniques and demonstrates the importance of a “balanced” bass line. Twelve Tower of Power tunes are used to illustrate his approach to funk & half-time shuffles, straight-8th, 16th-note and 12/8 funk, ballads and more.Each example is presented in it’s fundamental form, then he elaborates one step at a time so you can see firsthand how a bass line for a particular groove is created. Split-screen close-up studio demonstrations magically dissolve into live T.O.P. performances specially filmed for this video. The detailed booklet allows you to play along with such classics as “What is Hip,” “Soul Vaccination,” “You’re Still a Young Man” and many others. Don’t miss this incredible opportunity to sit in with one of the true legends of R&B/funk bass! I just downloaded and is excellent. Thanks!!! Is very very Good!!! i miss this guy, love the groove!